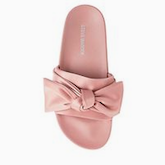 – Steve Madden sandal ($50) these are very girly but i think they’d be cute in the summer with a pair of cut off jean shorts or baggy denim pants. because the shoe is wider, they will also be flattering on the leg! 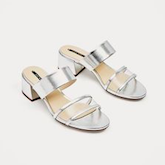 – Silver-toned mid heel ($23) i tried these on in the store and loved them and now regret not buying them. 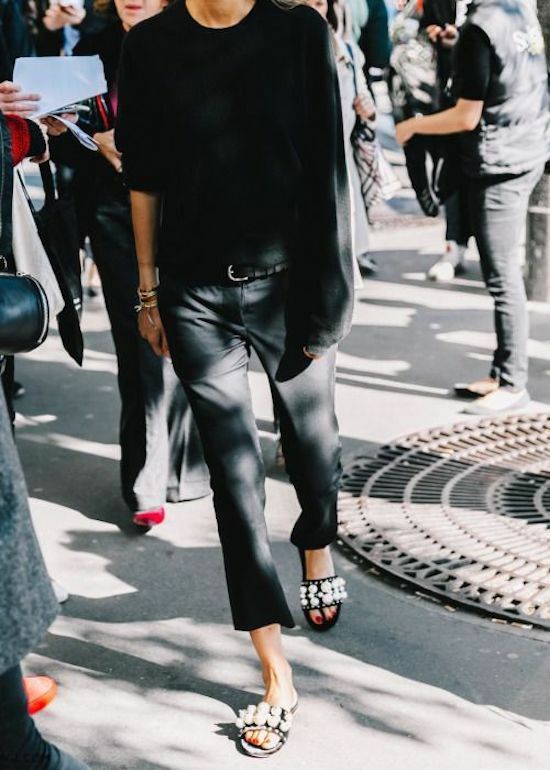 they are understated once you have them on and the block heel is the perfect amount of lift. 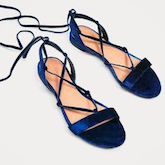 – Velvet lace up flat ($40) – navy blue velvet and those thin straps and really just a match made in heaven. 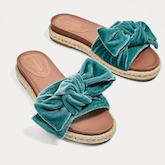 – Sea green bow slides ($60) – exaggerated bows with a side of jute. – Puffy knotted slide ($20) throw these in your bag for a day at the pool or beach. 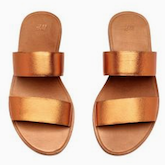 – Leather slip in sandal ($35) – i have a pair of this style sandal by Joie and they are my favorite. the double strap looks really chic on and they age really well since they’re made of leather. 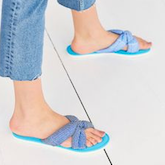 – Knotted satin slides ($20) – so cute and only 20 bucks! 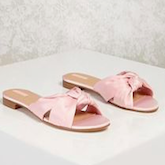 – Leather espadrille ($98) – i know white shoes are not always so practical but i think they are chic and i love this pair. 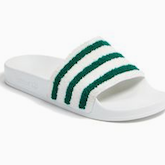 – Adidas sandal ($45) – as i mentioned above i wear my adidas sandals all the time. i have the classic version but our friend jesse has this style and they look so cool. 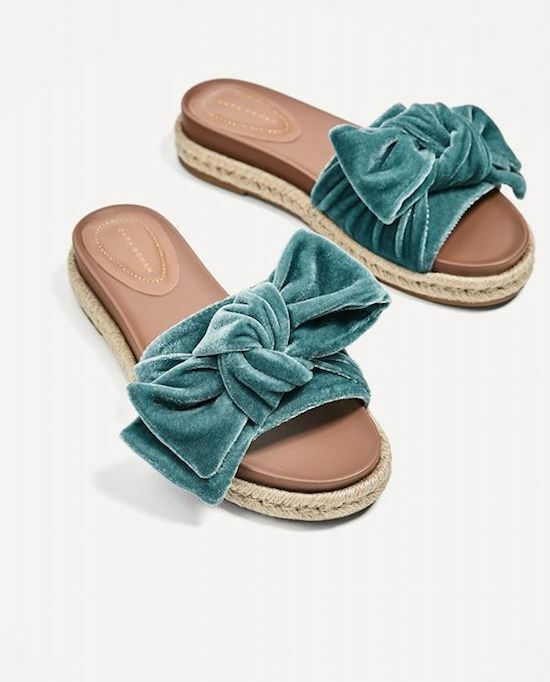 I love the sea green bow slides! Now to see if they have my size. 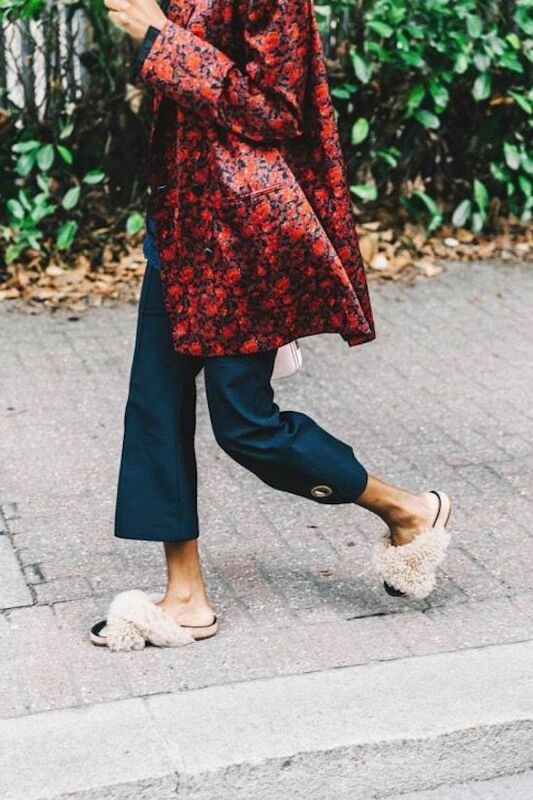 All I ever wanna wear are slides! Her style is great, I like her dress style. All are many beautiful, beautiful choice.